While many Massachusetts car accidents will result in personal injuries, some of the worst crashes will result in a fatality – perhaps more than one. 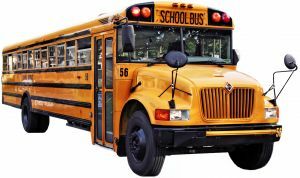 According to a recent news article from the Boston Globe, a woman died as a result of serious motor vehicle accident involving a school bus. Authorities say victim was killed when her minivan crashed into a school bus in Worcester, Massachusetts. Based on the location of the fatal car crash, both the Worcester and Shrewsbury police responded to the accident on Route 20. The accident occurred on the line between the two cities on a Wednesday evening around 6 p.m. Decedent was driving a 2000 Honda Odyssey minivan during the accident. Decedent’s Honda suffered severe damage in the deadly car accident, and she was trapped in her vehicle following the collision. Firefighters worked to free the 58-year-old woman from her vehicle and transported her to a local level-one trauma center, where she was immediately taken into the operating room. She survived emergency surgery, but died later that evening following the operation. Authorities are continuing to investigate the cause of this deadly motor vehicle accident but have initially said they believe the 2015 school bus was traveling eastbound when the Honda crossed the double yellow line and collided with the school bus head-on. Since this was an accident involving a commercial motor vehicle in which there was a fatality, police had both vehicles towed to a location where accident reconstruction specialists can perform a complete investigation. Fortunately, there were no passengers in either decedent’s minivan or the school bus, and the driver of the school bus was not injured. Our Boston car accident lawyers would like to express our condolences to victim’s family. It is important to understand, even if a vehicle was determined to have crossed into the opposing travel lanes and appears to be responsible for an accident, it does always mean it is that driver’s fault. There are many reasons a vehicle would cross the center line of a non-divided highway. While it is always possible the driver simply wasn’t paying attention, or may have been distracted by something in his or her own vehicle, there is always the possibility this action was in response to negligence of another driver. For example, if another driver was not paying attention or was driving under the influence of intoxicating liquor or drugs, that driver may have swerved in such a way that caused victim to take evasive action to avoid a collision. Since most people are not trained professional drivers, evasive action generally involves either slamming on the brakes or turning in any way to avoid a collision with weaving drivers. This may cause a driver to swerve into the opposing lane of travel. If this occurs, the accident may be entirely the fault of a third party, who managed to avoid an accident as a result of victim taking evasive action. While all of this may seem like a theory without proof, it will be the job of your experienced attorney and his or her investigator to speak with witnesses and check for surveillance camera footage to see if there is proof of this theory and see if actual at-fault driver can be identified.